Parenting should come with a warning label. Let’s start with pregnancy. It’s been said that the physical strain of pregnancy and childbirth can take a year off your life. For some of us, that experience might have shaved off about five years. Remember that life sucking machine from the movie, Princess Bride? Well, that’s what labor felt like for me. After the kid is born, it’s all about the kid. You barely have time to shower and throw on some lip-gloss let alone check in with your physical and mental well-being. Sure, you’re in and out of doctors offices all the time, but you rarely (if ever) see one for yourself. Oh, you’ve had a migraine for a week? A weird bump? A lingering cough? Who has time to check in with a real doctor? That’s why they invented WebMD. Your new baby is here. No accessories included. We all know that babies don’t need much, other than lots of love, nourishment, and nurturing. But, for those of us that care for babies, we do need stuff. Lots of it. I’ve been asked by friends about the products I use or what I think is necessary to have for first-time parents. I know there are already lots of lists of *baby essentials* out there, but this one is my own version of necessities. And, by necessities, I mean that I don’t function very well as a parent without this stuff. This does not mean that I think you need all this stuff, too. Note: I have not received any promotional items or paid sponsorship for any of the below-mentioned items. Everything listed is something I’ve been using for the past 2 years already. Just putting that out there. Binkies – because I like sleeping and peaceful shopping trips as much as you do. My kid prefers Avent. Not sure why. Muslin wraps – I love these Aden and Anais muslin wraps. 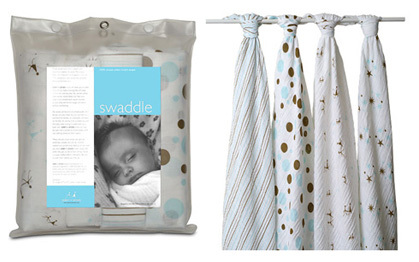 Good for swaddling newborns or keeping your toddler warm during a walk – I don’t leave the home without one. They are also my go-to gifts for new parents.